Our component offers a unique exchange system based on Credits. 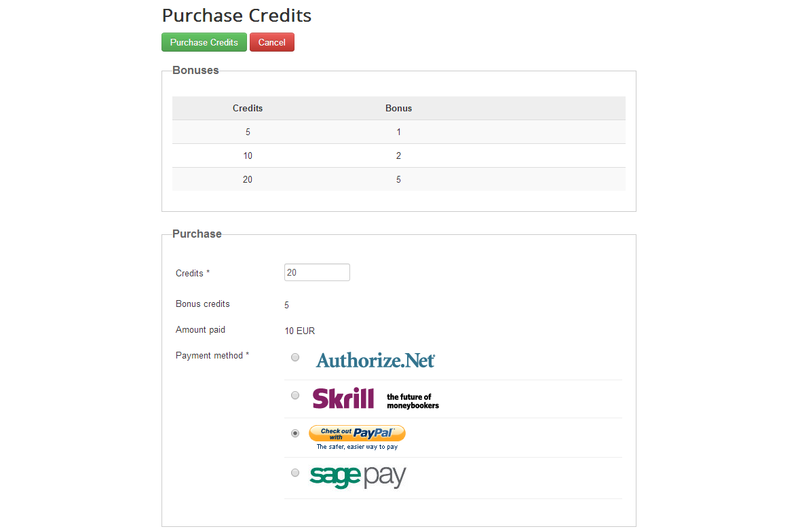 Users are able to purchase credits (Figure 1), later on allowing them to pay, view, listen or download files (Figure 2). Upon purchasing one of the previously mentioned options for a media file, the users are charged with the respective amount of credits (Figure 3), while the author will receive the credit value as funds (Euro in this case) in their account balance (Figure 4). The value received by the author can vary depending on a few factors; first it will calculate the Credits/Currency rate (settable from Components/Media Mall Factory/Settings/General Settings/General tab), so as in this case, if the rate is 0.5 and the cost was 10 credits, the author will receive 5 Euro. Using the Author sales percent option (settable from Components/Media Mall Factory/Settings/General Settings/Authors tab), the website can keep an amount of the closed sales, so if this is set at 80% the author will receive 4 Euro while the website will keep 1 Euro. (!) 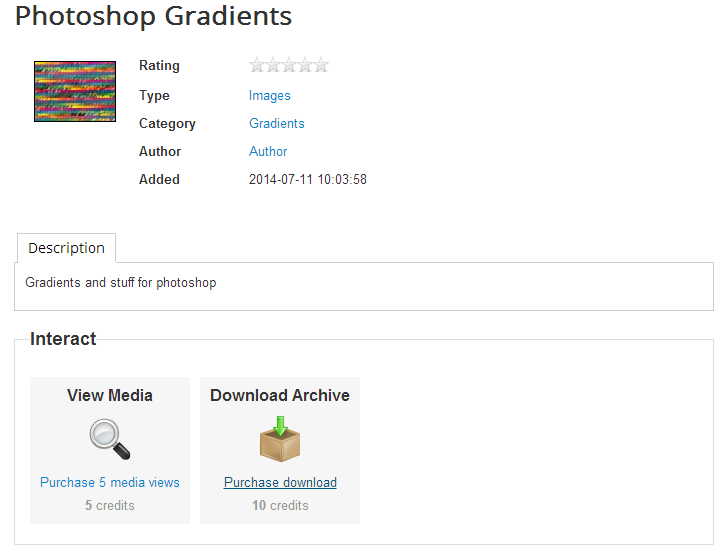 Documentation based on Media Mall Factory version 4.2.2.